This is so cool! 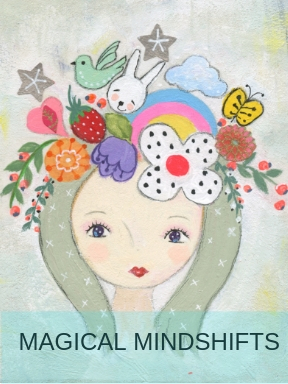 Your Magical Mindshift cards are going to be a big hit. Started my new job and keeping organized on the to-to-lists with out feeling too structured will be my goal. ☺ can you draw me my very own girl I can use for inspiration. Hi Noreen, thank you for responding. Yes, I’m planning to make a blank one that you can use to make your own. Keep me posted on how your career is going. I know you will do well! Love what you are creating with your cards and the cover card is perfect! I definitely want to get your card deck for inspiration in the new year! Hi Stephanie, thank you for liking. It is so much fun to keep on creating. You are a big part of giving me motivation. I love to talk about creative ideas when I see you! Hi Kay. Not only is the cover adorable I like the title. As usual you are so clever and love your creativity. Hi Jeannine, thank you for reading my post. I’m glad that you like it. Your approval means a lot to me. Thank you for the inspiring message to us. I will try to use the To Do List to accomplish my goals this year. I agree, it’s very helpful to see visually what I have to do. I LOVE THE COVER OF YOUR CARD SET!!! It’s so lovely, in fact, this might be my very favorite painting of yours. I love the subdued colors of the girl and back ground, and her crown is so colorful and bright! It gives me an idea of her thoughts and visions are so beautiful. It reminds me that my thoughts are creating my reality. And I adore the subtle sparkles in her hair!!! Thank you for sharing your beautiful artwork. I’m looking forward to getting your card set! Hi Yoko, thank you for liking my blog message. I can see your creativity growing. 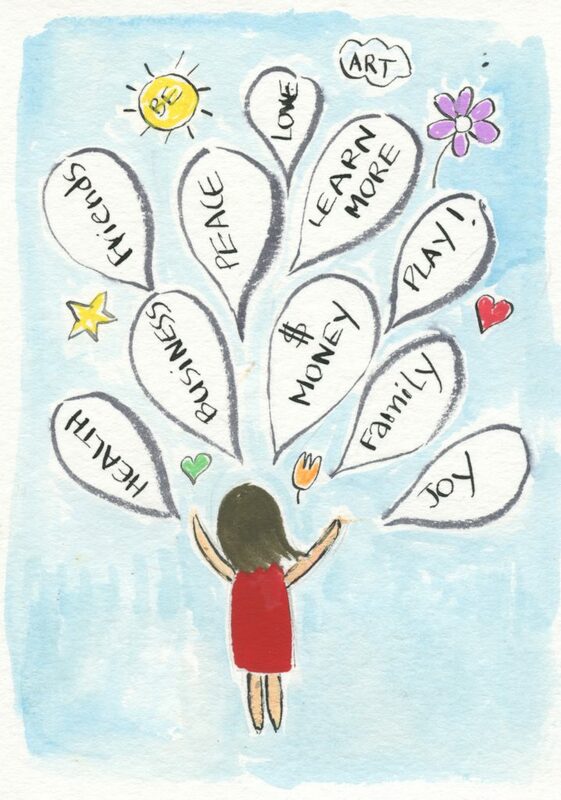 I’m happy to help you grow your passions! Hi Chris, nice to hear from you. How is your creative life going? Hi Kay! You are such an inspiration in so many beautiful ways. These cards will be a perfect way to remind ourselves that being mindful can become a daily habit that will give joy to ourselves and others. There is so much impact even a simple act or thought of kindness can bring to change the world. I especially love your nature-based artwork, the butterfly in particular. Personally, a butterfly like your drawing appeared in a dream I had and continues to have an important significance for the path I am on and my life’s legacy. Seeing that confirms the connection I have made with you, believing situations and people come into our lives for a reason only time reveals. Thank you for your thoughtful comments Margie. I agree with you. A thoughtful act of kindness can impact the world in huge ways. I built my business “with soul” and it has helped me tremendously as a human being and a respected business owner. I like your creativity and card deck Keiko. Thank you! Have a wonderfull day and a great year! Dear Gabriela, I feel so encouraged that you’ve read my post and it impacted you in a positive way. Please keep responding because I love to feel connected with the readers who enjoy and learn from what I share.